Ketone as a word has its root from an old German word, aketon, which means Acetone. Ketone is what your liver produces during the breakdown of fatty acids when your body is low on glucose. In simple words, when our body doesn’t have enough glucose, the liver breaks down fatty acid to produce ketones. 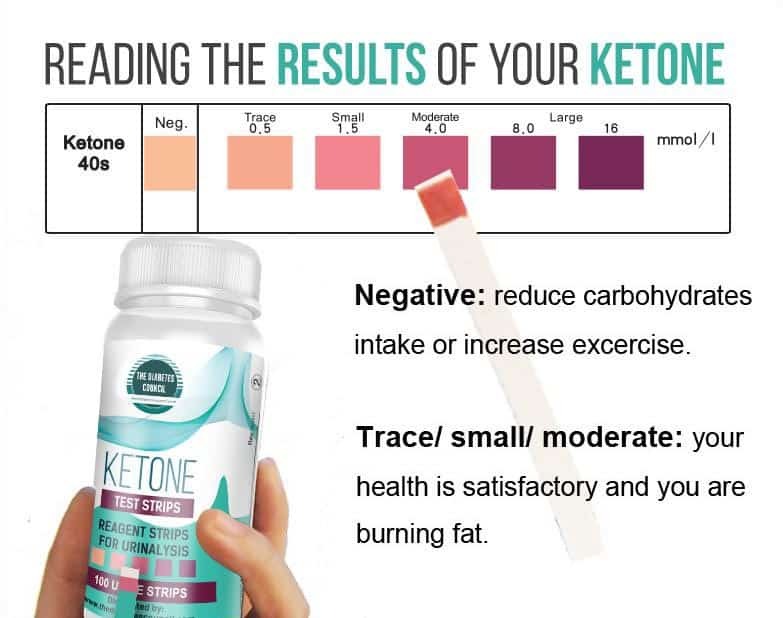 There are ways of measuring and determining what level ketones are in our body and one of this is the ketone test strip. Mistakes are often made between checking for ketones if you have diabetes and wanting to be on ketosis. Before anything else, it is important to know that they are completely different. When the cells in your body don’t have enough carbohydrates from food to burn energy, it burns fat instead; in the process of burning fat, it produces ketones. A diabetic patient checks for ketones to know how much ketones he/she has in his/her urine or blood. Unlike checking for ketones, being in ketosis is a metabolic state whereby the body produces ketones, some organs make use of these ketones as fuel so that glycogen is only used by organs that depend on it. For people with diabetes, having high levels of ketones is considered to be dangerous, therefore, which is why it is important that they test for them to avoid and prevent getting into diabetic ketoacidosis (which we will explain later in the article). In this article, we will go through the importance of testing for ketones if you have diabetes, how and when to test for them using ketone strips, how to read the results and what do they mean. In addition, we will gloss over the advantages and disadvantages of testing ketones using strips instead of using the blood-based testing or the breathalyzer. Why do I need to test for ketones? But if your body doesn’t produce insulin, ketone levels keep going up to levels that can be considered as dangerous. Regular test for ketones can prevent adverse conditions like ketoacidosis. Ketoacidosis is a severe condition where the body is not getting the appropriate insulin. This makes the body believe that it is short on glucose, even though in reality there is a lot of glucose in the body but it is getting hard for it to get to the cell. As a result, the body then begins to produce ketones without any control, which can result in dangerously high blood ketone levels. 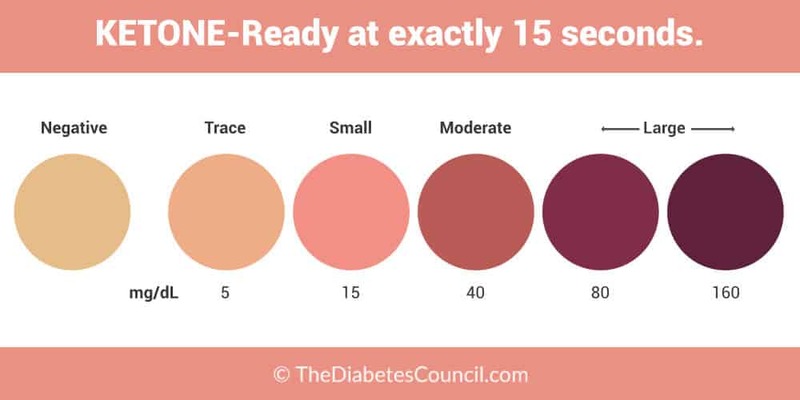 Once you test for ketones and notice this, regular insulin injections can be taken to prevent this from happening and reduce the levels back to normal range. NOTE: It is important to differentiate between Diabetic Ketoacidosis (DKA) and the Hyperglycemic Hyperosmolar State (HHS). They are two different complications that can be caused by diabetes. While DKA mostly occurs in individuals with type 1 diabetes and can be seen in those with type 2, HHS is most common with type 2 population. 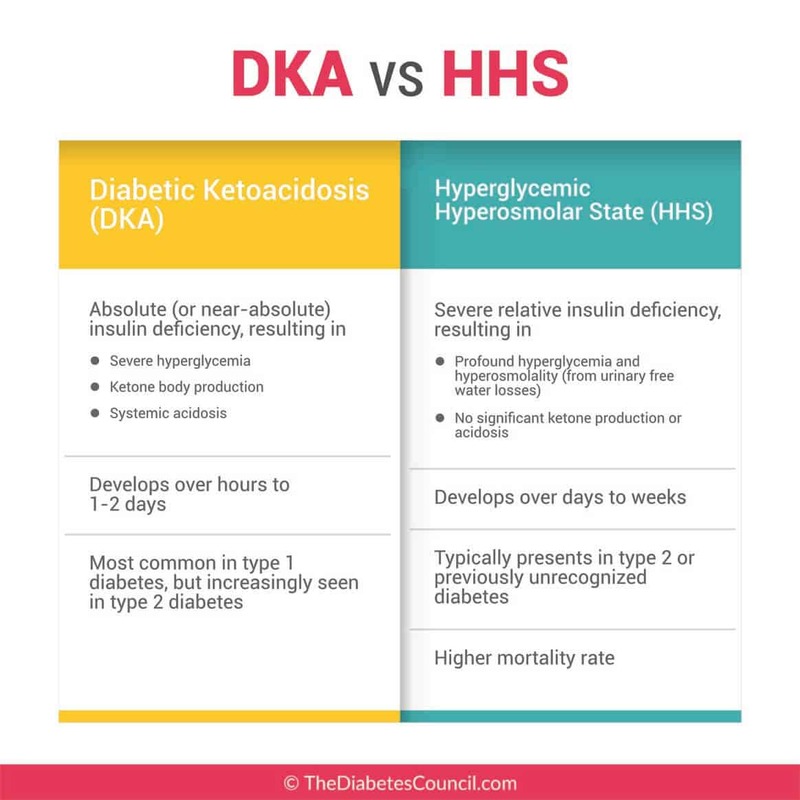 DKA develops faster than HHS. While one (DKA) takes several hours to a day or two, the other (HHS) develops over the course of the week. Hyperglycemia, hyperosmolarity and dehydration can be a symptom of HHS and increased thirst and increased urination is a symptom of DKA. Once one is able to distinguish the two, treatment options can be determined. DKA can be treated with insulin which regulates the high blood sugar levels. Treating dehydration is most common with HHS. Between the two, HHS has a high number of mortality rate. There are two categories that Ketone strips fall in determining the accuracy of the test. Ketone test strips are used in measuring and determining the level of ketones in either the urine or blood. 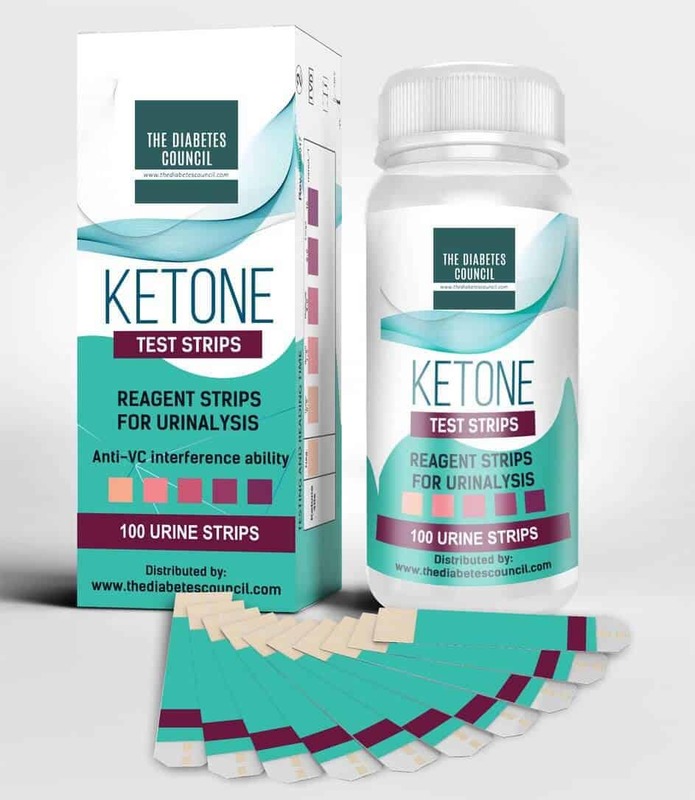 The test strips simply help to know how much ketones you have in your urine and blood. A urine test strip is a major diagnostic tool. It is used to determine or measure pathological changes in your urine in standard urinalysis. A urine strip is used for testing the presence of various diseases. The analysis includes testing for proteins, glucose, acetone, ketones, hemoglobin, and many more. Levels of ketones can be measured using test strips dipped in either urine or blood. You would test for ketone with a blood-based strip, in the same manner, you would test for your blood sugar. Instructions are always provided in the box for how to conduct blood-based tests. To conduct a test using a urine strip, you would either dip the strip test in the collected urine or directly when peeing. It is important to note that urine strips can only be used to measure ketones in urine. What Does Your Diabetes Journey Look Like? Can Elevated Iron Levels Increase Your Risk for Type 2 Diabetes? Your blood glucose is higher than 240mg/dl. Feeling nauseated, throwing up, or have pains in your abdominal region. Have a cold or flu. Feel thirsty or have a very dry mouth. Have a fruity breath or a hard time breathing. You feel perplexed or in fog. What do the colors on the strips mean? If the color on the strip remains the same, then no ketones are found in your urine. If the color of the strips turns a dark purple, then the levels of ketones in your urine is high. How to read the results and what do they mean? Before diving into this, how do you use a ketone urine strip? All you have to do run your pee on the urine strip then wait to see what the color will change to or better still, urinate into a clean container and dip the test strip into the urine. You read the result of your ketone test by watching out for what color the strip changes to. Hold your strip under the key, look for that color which matches your strip. If the color is dark purple, it indicates that there is a very high level of ketone present in your urine. There are cases where the color that shows on your strip is lighter purple to pink areas consistently, then you are fine. Period of the day you take your ketone test. Ketones weakened by increased hydration. Sports activities can decrease ketone readings because your body is its ketone provider for food. Any traceable amount of ketones may mean that there is a build-up of ketones. You should consider testing again in a few hours. Moderate or large amounts are a sign of danger because they can mess with the chemical balance in your body and even lead to poisoning it. Refrain from exercising if your test shows moderate to large levels of ketones with your blood glucose high. You will need better management of your diabetes. It is easy to see read your levels of ketones. The results are easy to understand. The urine sticks aren’t always accurate. They can give incorrect readings when testing. This can be due to ace inhibitors that can cause false positives when using urine tests that contain nitroprussides. Taking drugs to treat painful urinary infections turns urine purple can also give a false reading. Using Depakote, a medication, can also have this effect. A test can be inaccurate if urine has been sitting in the bladder for an elongated period of time. Concentration of urine can also cause inaccurate results. Ketone strips are not in the business of detail. They do not amount exactly the number of ketones in the blood or urine. They do not measure all types of ketones. You can order professional high-quality strips from our store by clicking here. Note that there are fluctuations which are caused by a change in hormonal level. This shouldn’t stop or discourage you from monitoring your ketone levels. Amount of fat in your diet also affects the level in your blood or urine. A higher concentration of ketones may be tested after taking a meal that is high in fat. It is generally believed that ketones have high concentrations in the evening and lower at night. Whichever time of the day you choose to test your ketones, you must be consistent with it. It is not advisable to measure ketones immediately after exercise. Ketone levels are likely to be lower while you have higher levels of glucose, this might affect your readings. To avoid unpleasant smells from ketogenic fruity breaths, drink lots of water, take mint tea and ensure to consume foods high in electrolytes. Avoid chewing too many gums, as it may put you out of ketosis due to hidden carbohydrates which can affect your blood sugar. Blood ketones are good at measuring the level of ketones in your blood and are considered as the most accurate way to determine the amount of ketone bodies, known as beta hydroxybutryate. It is one of the most expensive methods to measure ketones in your blood. This is another less expensive method for testing for ketones apart from the urine strips. It measures breathe acetone concentration. Note that breath ketones do not always correlate with blood ketones and they can be affected by several factors. Will Type 2 Diabetes Affect My Memory? Type 1 and type 2 diabetes patients. What should I do once I get my results? It is important to talk to your medical adviser after getting your results. If your ketones are low, ensure you seek medical attention. How do I know if my results are good or bad? Your results would be determined by checking the color on the test strip after performing the test. If your strip does not change color, then no ketones are found in your urine. You are not in ketosis. If the strips turn a dark purple, then high levels of ketones were detected in your urine. Is there an expiration date by which all strips must be used? Expiry dates of the ketone testing strip are determined by the maker of the test strips. Always make sure to check the box to see what the expiry date is. How else can ketones be detected besides ketone strips? Ketone strips are not the only methods of detecting or measuring ketones. Ketones can also be measured by Blood ketone meter and breathe ketone meter (also known as the “Breathalyzer”). What is the difference between ketone strips and ketone sticks? Ketone strips are also referred to as ketone sticks. When should I consider seeing a professional to get help? If your urine test shows a moderate or large amount of ketones, seek medical attention. When the color on your urine strip is dark purple, then you should consider seeing a professional for help. Does ketosis help in losing weights? Yes, ketosis helps in losing weight because it helps in burning fats in the body. However, if you have diabetes, you will want to check your ketone levels to ensure you do not go into diabetic ketoacidosis. What does a trace of ketones in urine mean? Ketones are found in your urine when your body cannot make use of them. How do I know I am in ketosis? Although there are various symptoms to know if you are in ketosis, the best way to know if you are in ketosis is by measuring your blood ketone level with a monitor. Can I use expired ketone strips? No. Expired ketone strips might give inaccurate results. What does a negative drug test trip look like? A negative test strip doesn’t change color. Do ketone strips test for diabetes? Ketone strips test for checking ketone levels in diabetic patients. Ketone test strips can only show symptoms of diabetes. The most accurate way to test for diabetes is by seeking professional help. What is the significance of testing for the presence of ketones in urine? Testing for ketones is necessary in order to reduce the risk of critical complication of diabetes. Testing for ketones in urine helps to know what level ketones are in your urine. When is ketone testing recommended? Many experts recommend testing for ketones to be done first thing in the morning. Ketone testing is recommended when you have a type 1 diabetes in order to prevent Ketoacidosis. It is also recommended if you have just started a keto diet and you want to be sure you are doing it correctly. How many times a week or day do I test for ketones? It is best to test for ketones every day. Whichever time of the day you choose to test for ketones, what is more important is consistency in checking. How long do I test for ketones? It is important for diabetic patients to test for ketones regularly. Why are keto strips considered as giving inaccurate results? Ketone strips are considered inaccurate because they don’t measure all types of ketones produced in your body. Urine can be inaccurate due to sitting in the bladder for an extended period of time. Urine concentration can also cause inaccurate results. What is the difference between ketones found in people with diabetes and people following a ketogenic diet? Type 2 diabetes patients are placed on ketogenic diets to assess whether they are burning fat effectively. 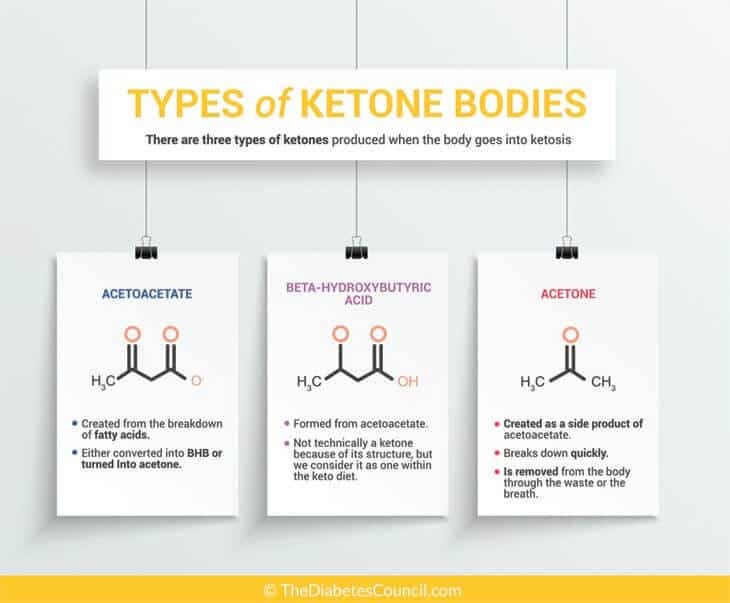 Ketones can be found in people with diabetes when your body is producing excess ketones or your body isn’t adapted to using keto diet yet. Ketogenic diet simply helps the body to burn fat rather than carbohydrates. What is better for testing ketones: blood or urine testing? Blood testing is advisable when testing for ketones. It gives a good view of the makeup of the blood. It is more accurate than the urine testing except that the urine testing is cheaper than the blood testing strips. Blood testing picks ketones faster and more effectively than the urine ketone strips. You are probably confused on which measurement tool is right for you. You can order TheDiabetesCouncil’s professional high quality ketone test strips by clicking here. 1. I think it is important to differentiate (very clearly) the difference between diabetic ketoacidosis and ketosis at the beginning of the article before describing the need to test for ketones. Diabetic ketoacidosis (DKA) is a complication of type 1 diabetes when the body switches to burning fat for fuel instead of carbohydrate. To understand DKA, you must understand diabetes. For individuals with type 1 diabetes, they have defects in their production of insulin (and sometimes produce none at all) which means they cannot utilize carbohydrates (glucose or sugar) for energy even when carbohydrates are consumed. To compensate, the body produces ketones for energy which can unfortunately build up in their blood and increase it’s acidity to dangerous levels. Along with producing ketones, diabetics will also have high blood sugars because the carbohydrates they consume CANNOT be utilized. Additionally, DKA is traditionally caused by 3 scenarios: not enough insulin (to help sugar get into cell), not enough food, or low blood sugar (not enough sugar in the blood to sustain adequate functioning). Conversely, Ketosis occurs when individuals change their diet (reduce their carbohydrate intake) so the body switches from carbohydrate metabolism to fat metabolism for energy production. This change occurs not because of a defect in insulin production, but because of diet composition changes. 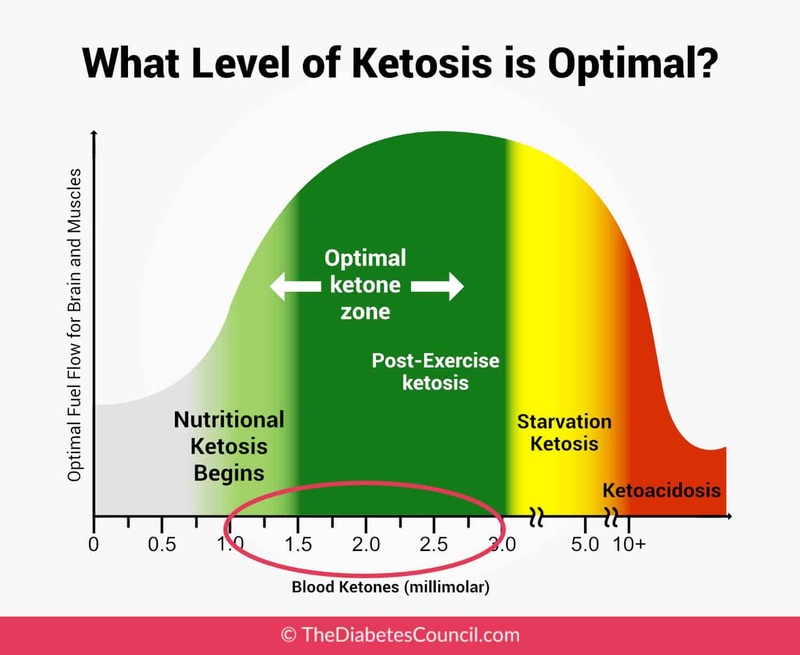 This means individuals who are in ketosis do not have highly uncontrolled blood sugar levels (because they are consuming very little to no carbohydrate in their diet). I’ve read through the article and I found it to be very thorough, comprehensive, and easy-to-understand for the average person. An article on ketones and ketoacidosis for the general public can be challenging to write but this one broke this condition down into more manageable and meaningful information to really be of help for those who need to know this information. The questions at the end was a good idea as they addressed many obvious questions someone may have on understanding this topic. This is a great piece! It’s very in depth, but definitely easily understandable. I like how you differentiated between diabetics checking ketones vs. people wanting to be in ketosis for fat burning reasons. I think this article clears things up for people and really helps them to understand the importance of checking ketones when diabetic and all the details of that. I think this is super confusing because a type 2 non-insulin dependent diabetic highly benefits from a ketogenic diet and it’s not AT ALL dangerous for them. Very different for a type 1. They are completely different cases and your one doc to address both doesn’t really make that very clear.